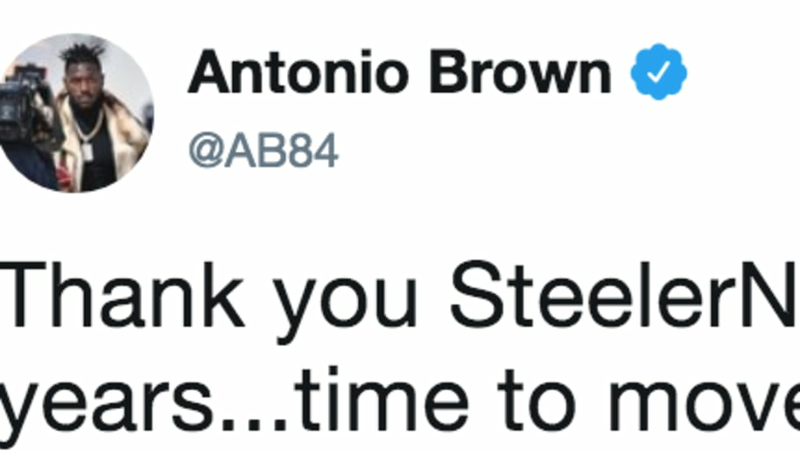 ​The ​Antonio Brown saga just took another major turn, as the star wide receiver just posted a cryptic tweet in which he said goodbye to the team and fans. Brown thanked Steeler Nation for "a big 9 years" before claiming it was "time to move on and forward." He added the hashtag #NewDemands to the post. Brown has been trying to force a move from the Steelers following a dramatic end of the 2018 campaign, but a series of off-the-field incidents ​significantly reduced his trade value. The latest incident came on Tuesday morning after ​Brown failed to show up to court for his November speeding ticket. It seems that Brown is ready to move on, getting his wish to leave Pittsburgh. The seven-time Pro Bowler's exit from the Steelers was equally dramatic as to what fans saw off the field leading up to his departure from the squad. Now, we'll all have to wait and see where AB84 lands next.